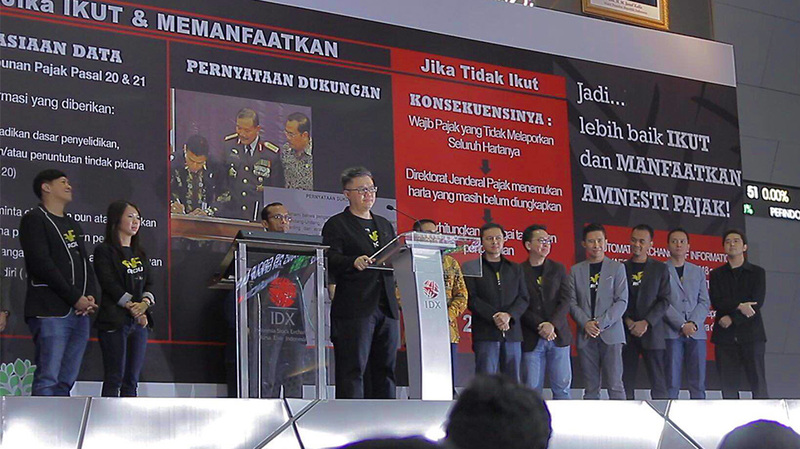 Slingshot (previously known as AR Group) was proudly launched to the public on Friday morning on the floor of the main hall of the Indonesia Stock Exchange. Daniel Surya, CEO of Slingshot was given the honor to ring the opening bell of the stock market, and the event marked the unveiling of the group that specializes in Augmented Reality technology. The event was attended by journalists, business partners, and other key stakeholders. In this opportunity, Slingshot’s 3 business units were introduced to the public: AR&Co, DAV, and MindStores. The 3 units are leaders and pioneers in their own specific offerings, and received lots of attention and coverage from the media. In this opportunity, the audience also got a teaser of a new technology currently under development by Slingshot which involves the human-eye retina.